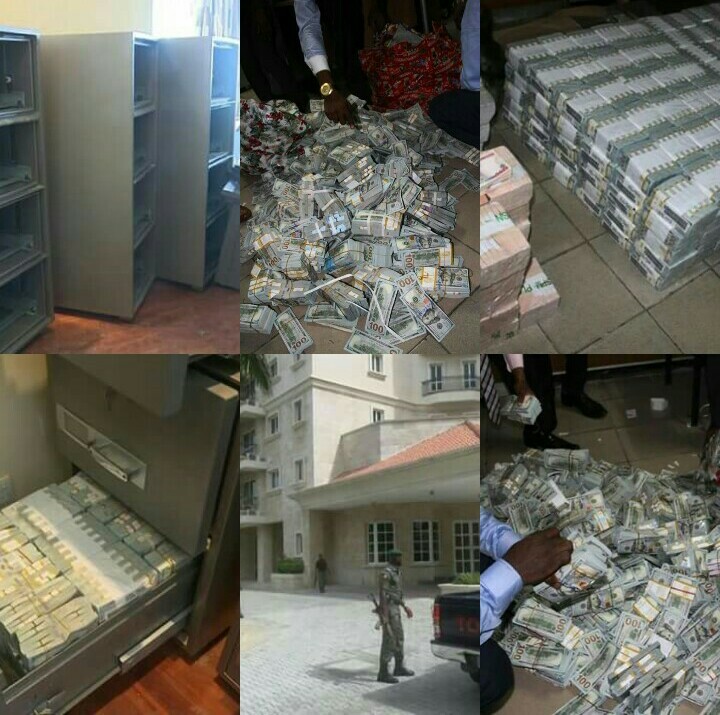 A Federal High Court on Friday in Lagos ordered the final forfeiture of the N449.6 million found in an abandoned Bureau de Change at Victoria Island to the Federal Government. The money was recovered in Lagos by the Economic and Financial Crimes Commission (EFCC). The forfeiture order was made by Justice Mohammed Aikawa, following a motion on notice taken before him by the anti-graft agency. The judge ordered that the money should be forfeited to the Federal Government as nobody had come forward to claim it. On April 19, Aikawa ordered temporary forfeiture of the money and adjourned for one Mohammed Tauheed, who was joined as a respondent or any other interested party to appear. When the case was called on Friday, Counsel to the EFCC, Idris Mohammed, told court that the interim order of April 19 was advertised in a newspaper on May 11, to bring the case to the notice of Tauheed and any interested party. He said that apart from the newspaper publication, Tauheed was also served with the motion on notice. Mohammed urged the judge to order the final forfeiture of the money since neither Tauheed nor anyone else came forward to claim it. Aikawa, in a short ruling, granted the application. “This court ordered, among others, that the respondent (Tauheed) and any other interested party should show cause, within 14 days, why the interim forfeiture of N449, 597,000 should not be made final. As far as my record shows, neither the respondent nor any other interested party has filed any affidavit or any other process to show cause why the interim order should not be made final. The respondent has, additionally, not filed any process in response to the motion on notice. In the circumstances, I have no option but to grant the application as prayed. Accordingly, I hereby order that the sum of N449, 597,000 found in possession of the respondent, which sum is reasonably suspected to be proceeds of an unlawful activity be finally forfeited to the Federal Government,” he ruled. An investigator with the EFCC, Mr Moses Awolusi, had, in an affidavit filed before the judge, stated that operatives of the anti-graft agency found the money on April 7 in several “Ghana Must Go” sacks in a shop at Victoria Island. He said the EFCC found out that the shop had not been opened for two years, adding that the anti-graft agency recovered the money after investigating intelligence information received on Tauheed. The investigator said that Tauheed had conspired with the owner of the abandoned shop to launder the money. The EFCC said it would be in the interest of justice for the court to order the permanent forfeiture of the money to the Federal Government.